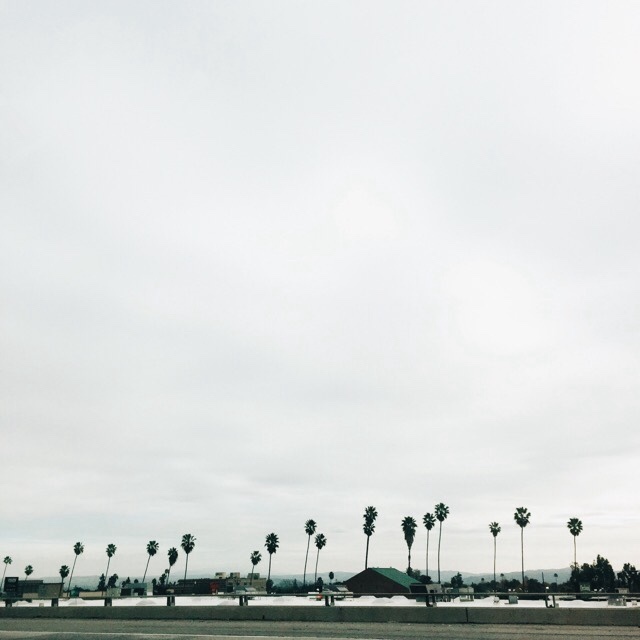 After we spent the night in Lodi, California, we motored through the beautiful parts of Southern California. We saw the mountains, and endless hills. 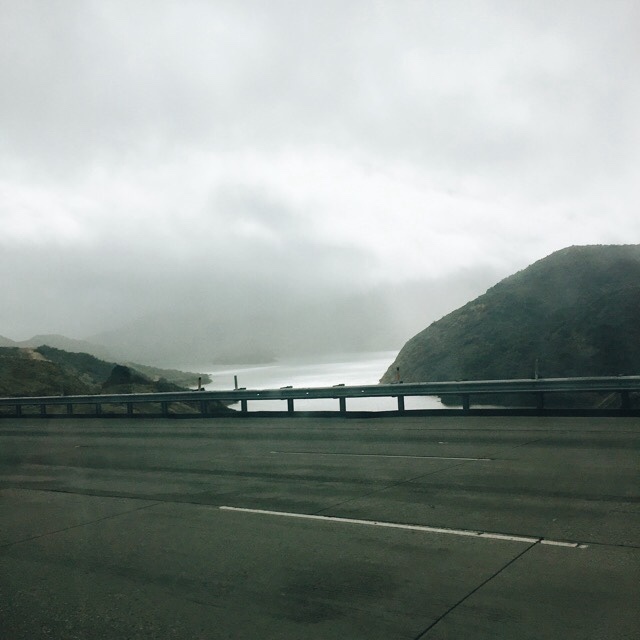 We saw Pyramid Lake while driving on I-5 South in towards Los Angeles. 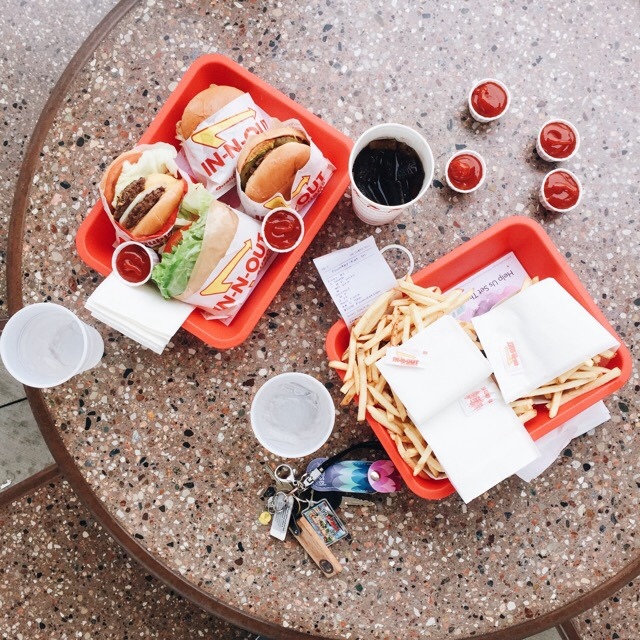 We could not leave California without stopping at an In-N-Out Burger, so on the outskirts of Los Angeles, we had lunch at California famous In-N-Out Burger, and it was delicious. 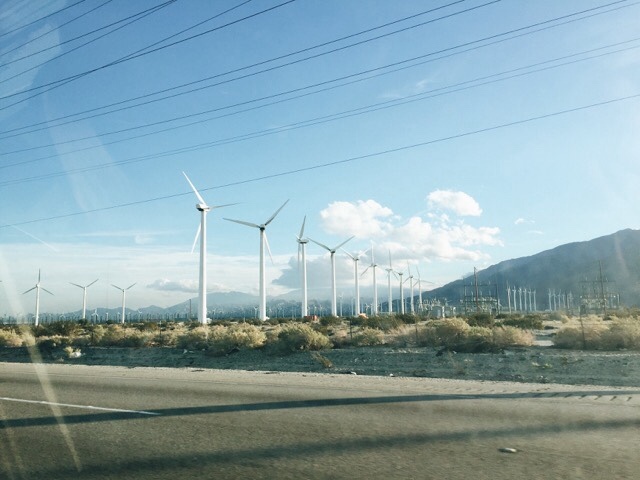 Moving toward the Arizona border, saw the wind farm's field of windmills, it was a gorgeous drive, and I always enjoy seeing the windmills each time we drive near or to Palm Springs. 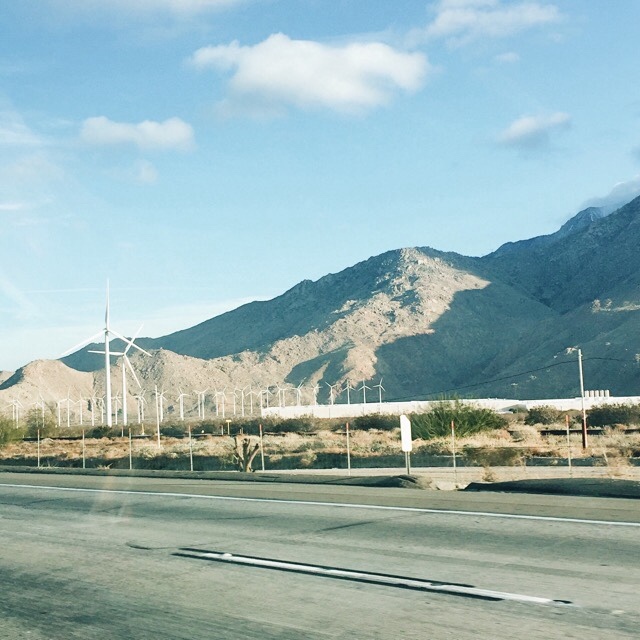 We drove into Pheonix, Arizona for the night. I will begin right there with I am thankful it was just for the night. First off, the motel we stayed at (we kept it cheap because I paid for some of the nights, and I can be a cheapskate... especially when it is just for one night. Also, I like to save money) was a little sketchy. The area of Pheonix we stayed in was sketchy. The room was kind of disgusting, there were only two places open to eat in the area (I will get back to that story), and it was just an odd, silly, crazy experience the 12 hours we were in Pheonix. I did not take any pictures of our Pheonix adventure because it was dark most of the time we were there. Okay, here we go; bear with me. After we checked into our motel, we were hungry and wanted to get something to eat. We googled places to see what the area had to offer, and there really was not much around anyway. We stopped in the parking lot of a Mexican restaurant, and we thought it looked alright, but we wanted to see the inside first. We walk in, and we are hit with a wave of Pine Sol. We knew it was clean, but I knew I would have a hard time eating with smelling the Pine Sol so strongly. We decided to go to a different place. We went to three places, and each place was closed! It was only 8:30, maybe 8:45 at night. So many places were closed for the evening, and we could not believe it! We had passed by this other eatery with crazy lights in the windows, and decided that might be the only place to go. We walk in, and nobody is speaking English. This would have been totally fine if we knew Spanish, but alas, my family is not bilingual. The whole place felt a little off for many reasons... hilarious and very strange reasons that made my family burst out laughing once we got back in the car. It was a series, chapter after chapter of interesting, and strange events that just made us burst out in laughter. I think partly because we just could not believe the lack of restaurant availability, and partly because we were so hungry, and tired from the drive. Of course, there were other hilarious happenings that made us laugh too. Finally, we came across a restaurant that we told ourselves, "we are eating here no matter what." We got out of the car, and it seemed alright. The young girl at the register acted like she owned the place. She kept referring to the ingredients in the food as "her ingredients" or referring to the place as "her" place. She looked all of seventeen years old! As we were ordering, she mentioned something about how we looked like we did not belong here, and that there was a pizza place up the way that we might be more comfortable at. My family exchanged odd glances, and we said, "Why don't we look like we belong here?" and she said that we looked like a nice family, who sticks out. That was a little concerning, but we waved it off and stayed. We ended up ordering, and we were charged $30 for a few tacos, and an enchilada dish. I could not believe it. There ended up being a misunderstanding on the type of taco my mom and I ordered, we just wanted a basic taco with chicken, and refried beans. We got it all squared away, and out came our food, and OH MY GOODNESS, the food was AMAZING. After that, there wasn't much action. We thought we heard gun shots, but that was our own, crazy imagination (hopefully...). We drove back to the motel, and rested for the long day of driving we had ahead of us the next day. We woke up, fueled up, and got the heck out of Pheonix! We were done with that area, really, so done! From then on, we were on I-10 for the rest of the trip, and we drove through Casa Grande, Eloy, and Tuscon. My mom kept mentioning how close we were to the border of Mexico. Within a few miles! 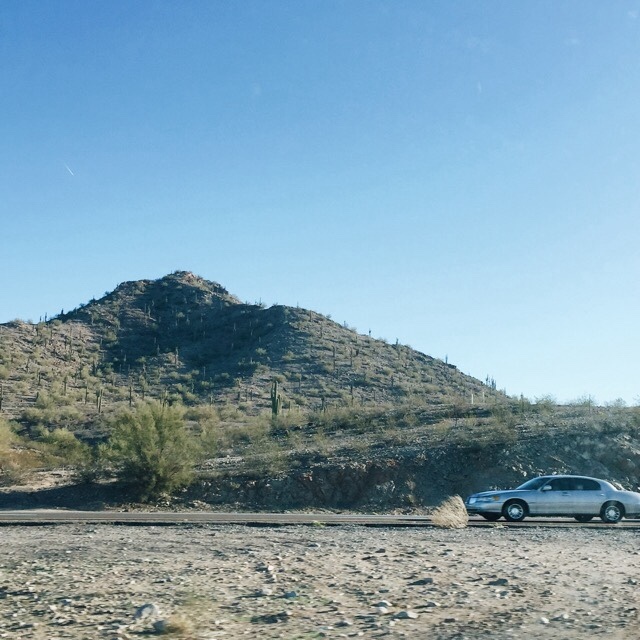 We saw so many cacti, they would cascade down mountains, and hills; there would be fields of cacti for mile stretches, and some giant cacti looked like they were dancing on the side of the road. It was a lot of fun to see. All of a sudden, traffic was being slowed by a police vehicle. 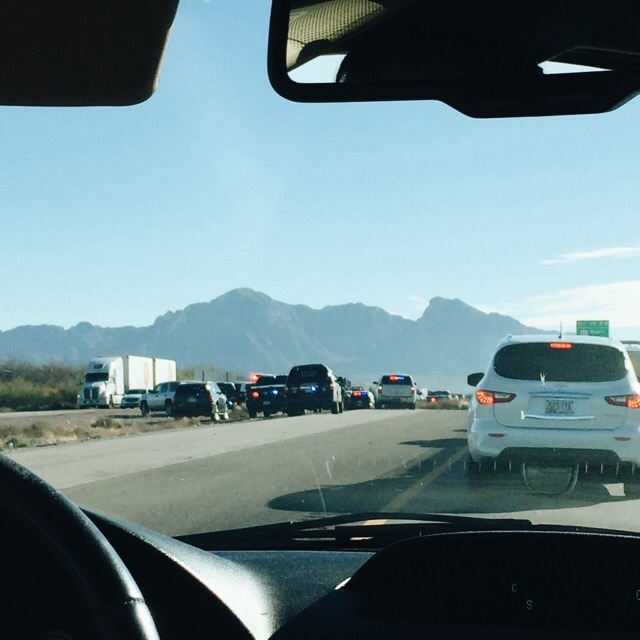 We were shifted into one lane to allow more police vehicles to pass, and sometimes five at a time would zip through. We kept hearing approaching sirens, and seeing them pass by. Literally, a fleet of emergency vehicles zoomed past us. 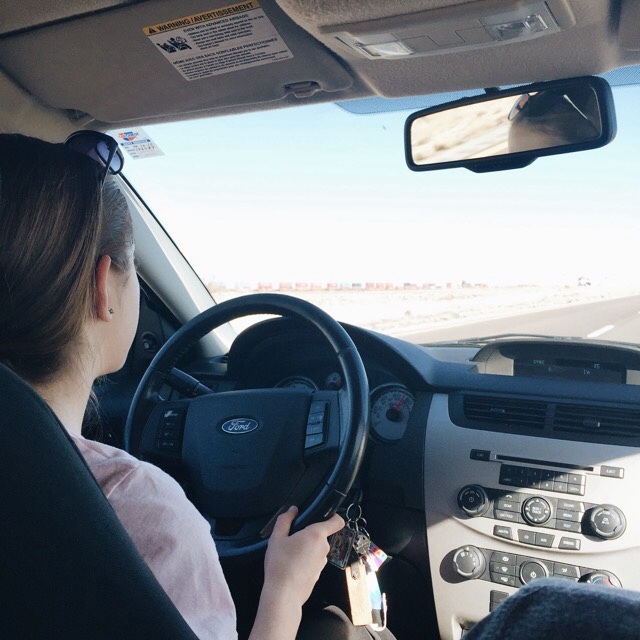 We had no idea what was happening, and I was getting a little worried that whatever was ahead of us would slow us down significantly. 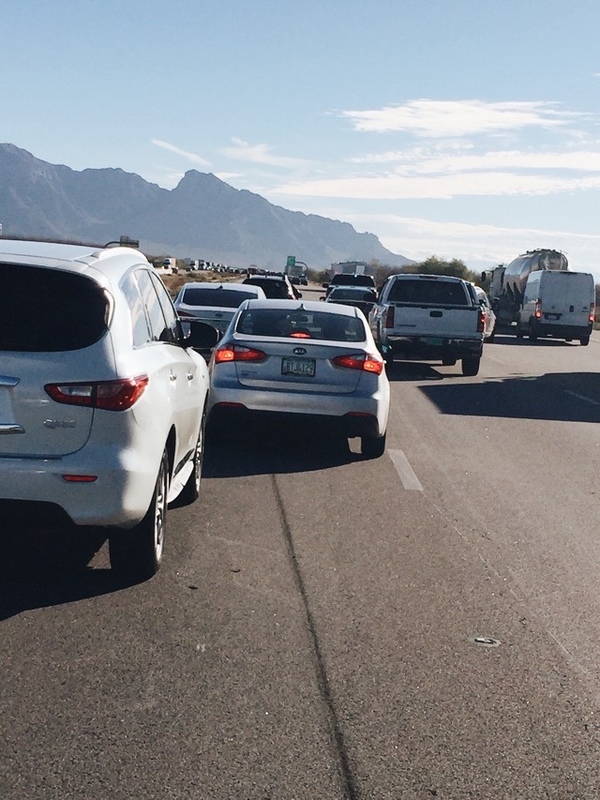 Traffic kept moving, we kept driving, until we were stopped for a good 45 minutes. We still had no idea what was happening. We were all stopped funky on the freeway, and we saw a couple of helicopters zip around and circle the area. It was crazy! Traffic started moving again, we slowly drove past the accident. 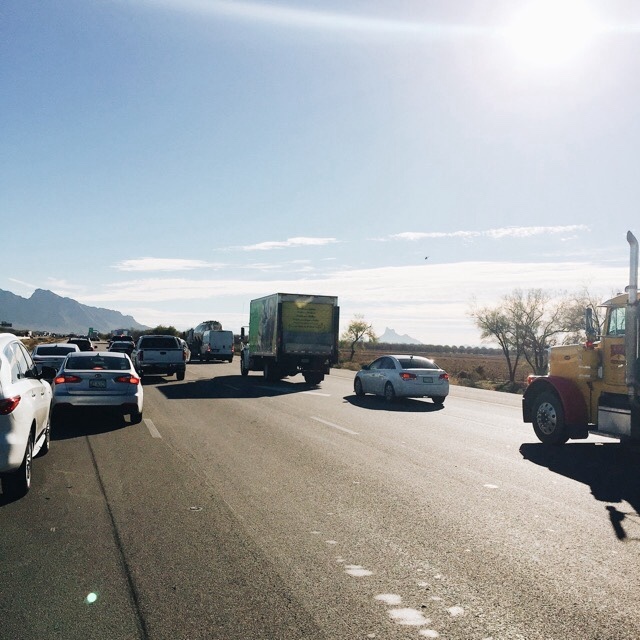 We are still not sure what happened, and why they needed a literal fleet of emergency vehicles, but it was sure an interesting part of our road trip. 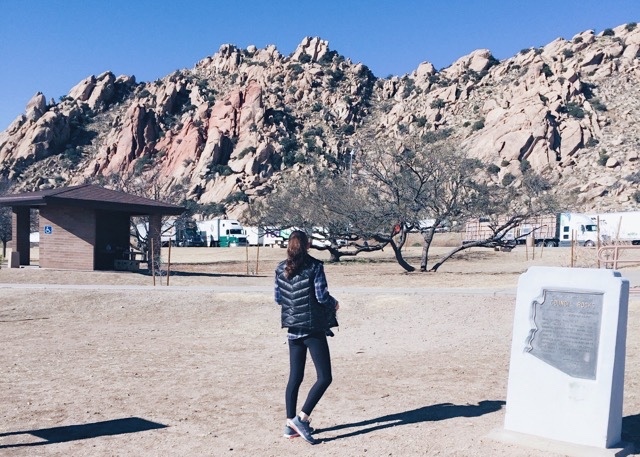 Just before we hit New Mexico, we stopped at a very fancy rest area at Texas Canyon in Arizona on I-10. The scenery was absolutely beautiful, but it was quite windy and chilly. We also had to beware of biting, and pinching critters. Wake up call! I was entering big bug town. We drove through New Mexico, and stopped for lunch just before we hit Texas. We stopped for lunch at a Subway that was inside a gas station, and we sat by the window. 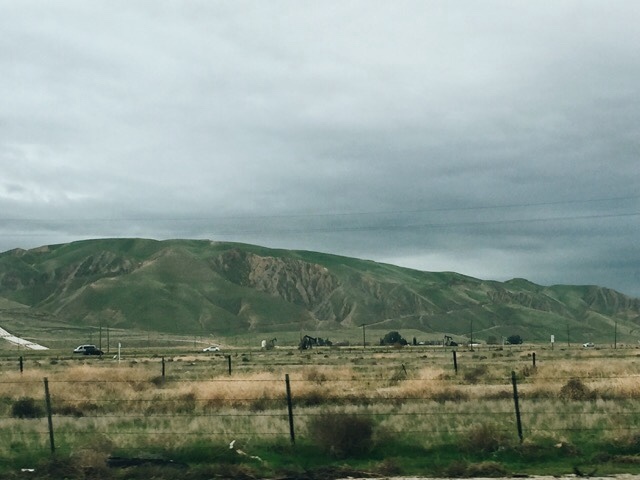 The scenery around us was so beautiful, and quite different from Oregon. We were also very much near the border of Mexico, and very near the jail in Las Cruces, New Mexico. 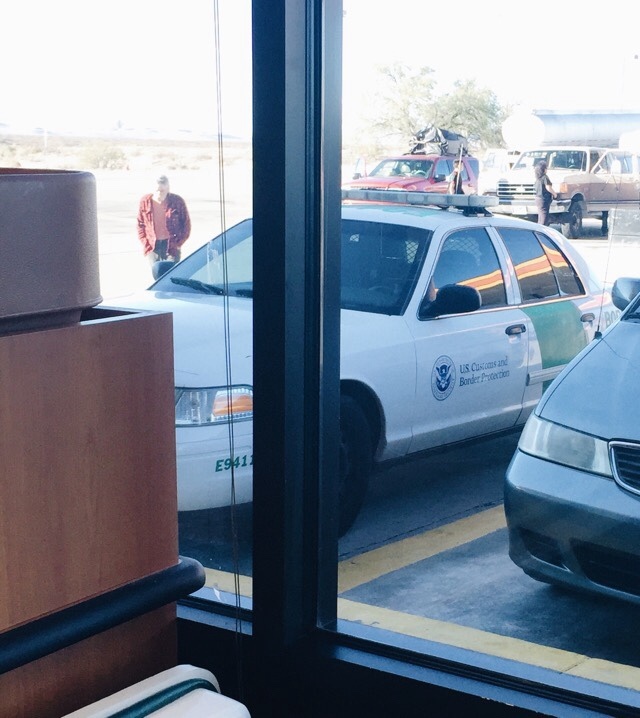 It became very real to us when a border patrol car parked outside the gas station shop and Subway. That was a little insane to see. After we ate, we drove about 10 minutes, and we actually drove past, and saw the jail in Las Cruces, New Mexico. We were so close to the border! 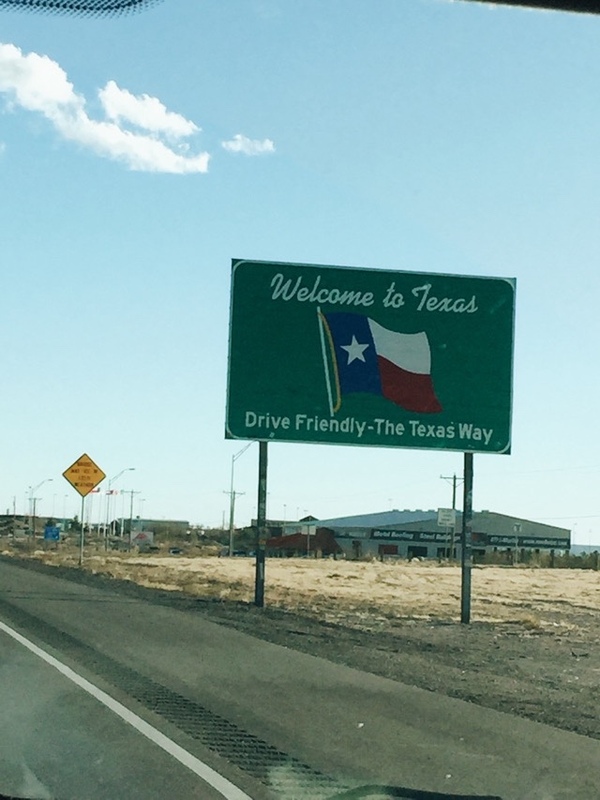 About 20, to 30 minutes after that, we entered Texas! We were ON THE BORDER when we drove through El Paso, Texas. We were actually stopped by the border control as we came up to the pass, and we were each asked if we were US citizens. It was a little intimidating, but exciting at the same time. We could not see the border exactly, but we were on the border. 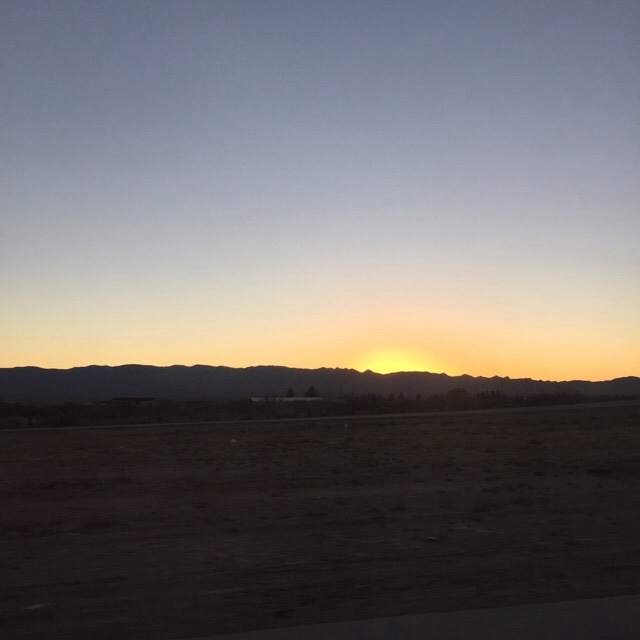 As the sun set, we could see the mountain range that separated Mexico and Texas. 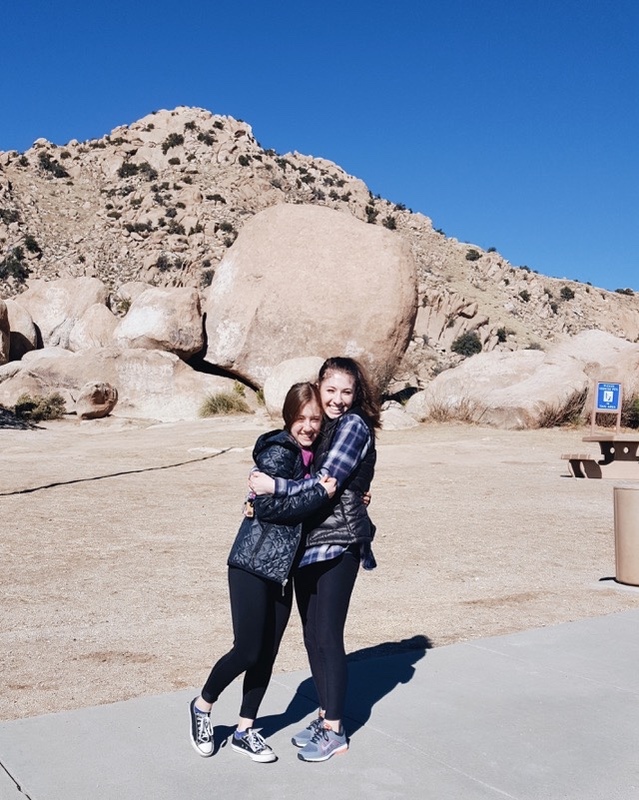 My family and I stopped in Fort Stockton for the night, and we ended up staying at a really nice hotel, we had delicious pizza for dinner, and it was not a crazy adventure trying to find an open place to eat. It was smooth sailing in Texas. Wow! Long post. 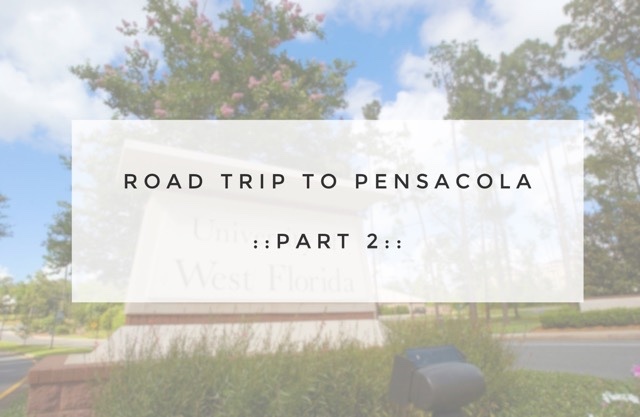 I wanted to get through that day at least because the next part is when we enter the South, and we near the end of the road trip. 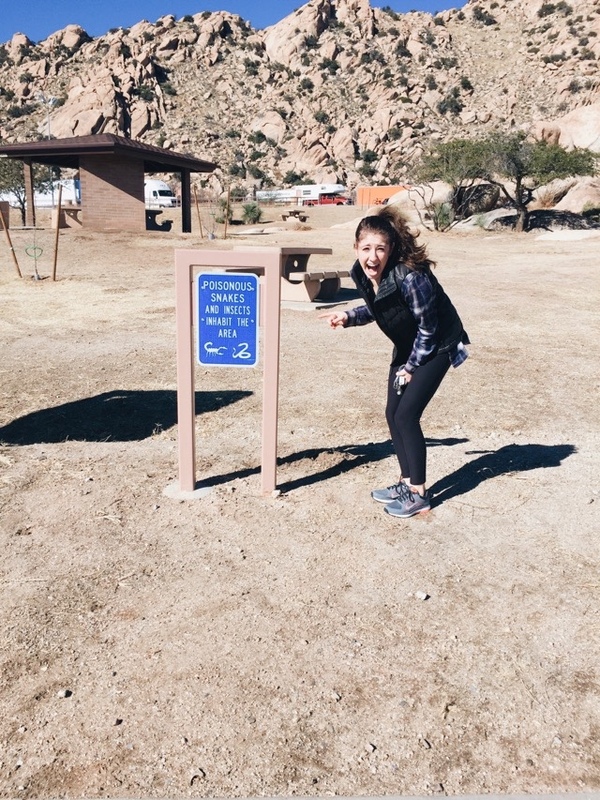 Needless to say, the Southwestern portion of our road trip was the most eventful. It was crazy, hilarious, exciting, and so memorable.